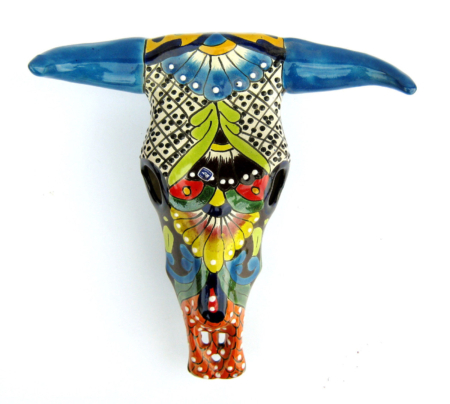 When you think of a cowskull, you wouldn’t associate it with the colours of the rainbow, fun, sunshine and Talavera ceramics, would you? 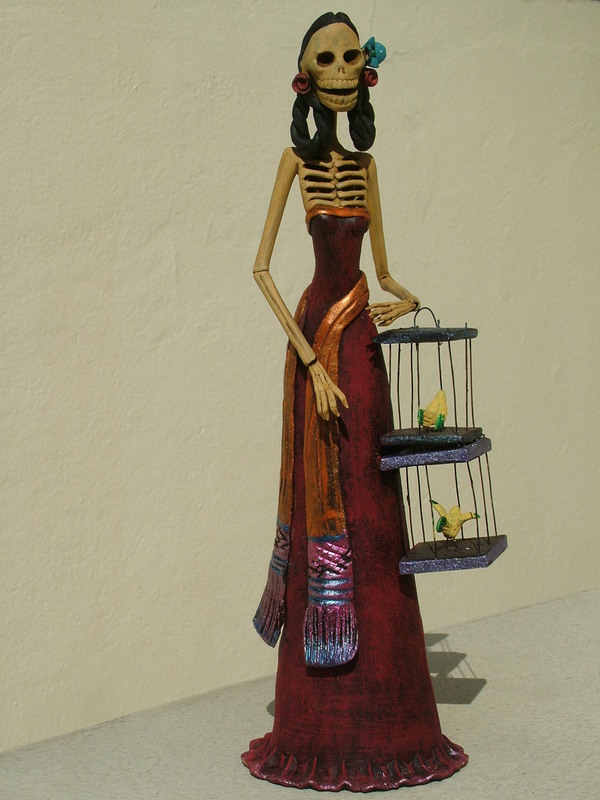 Well, time to think twice about it, and see what our Mexican artisan potters are able to create, using their imagination and talent. 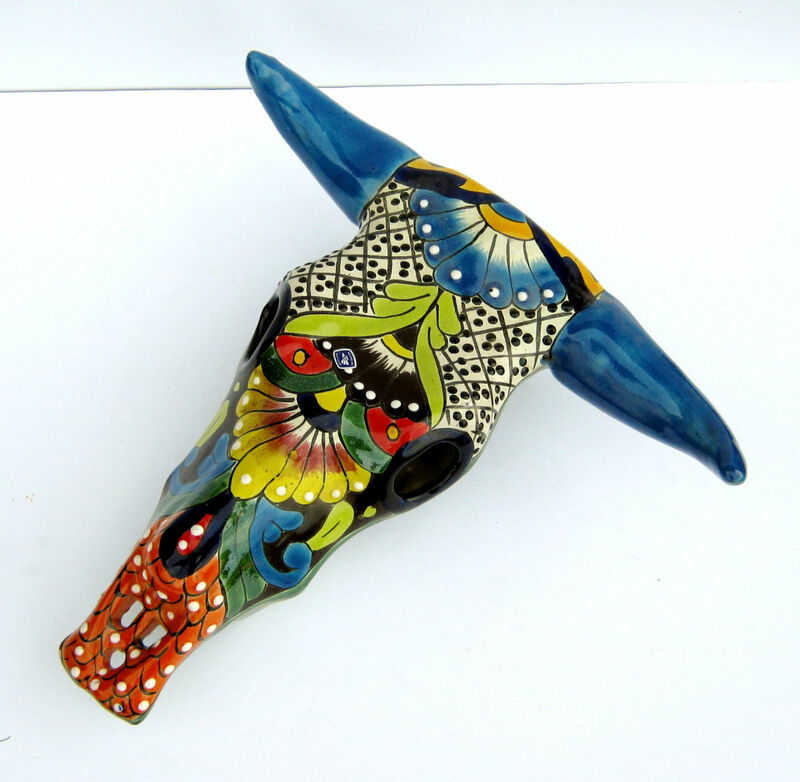 Presenting one of our most unusual home accessories: the Talavera cowskull! The tradition of using the skull of cows as wall decoration was born in the Wild West. Mexicans not only took it over, but added their unique touch and typical style, expanding the range of colourful Mexican home accessories with the wonderfully bizarre Talavera cowskulls. You can attach your piece to the wall or any vertical surface easily and safely with the help of the hole on its back and a hook. 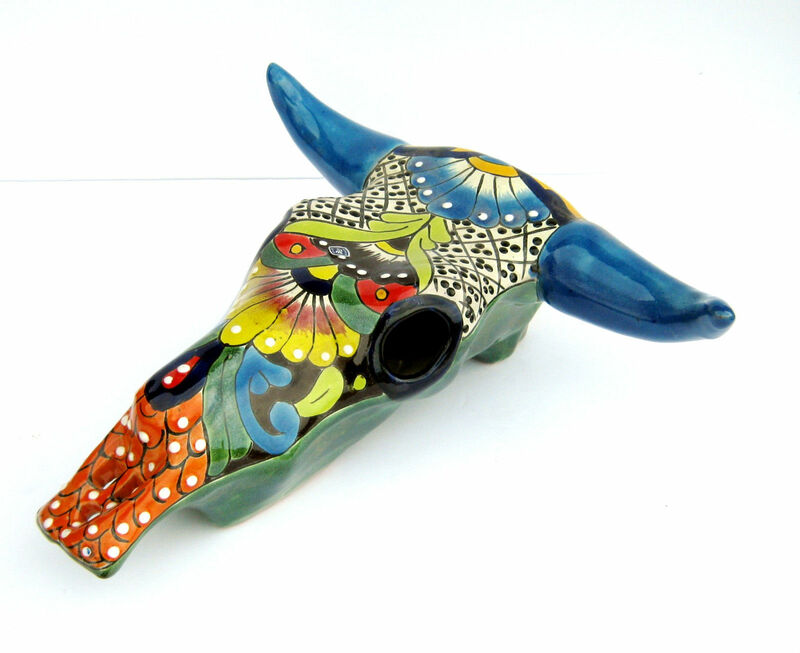 Our cowskulls are decorated with typical Mexican colors and patterns, and are manufactured and painted all by hand according to the centuries-old tradition of Talavera-making. One of the main characteristics of hand manufacture is that there are no two similar pieces, thus you may find differences in color or pattern – but never in quality! 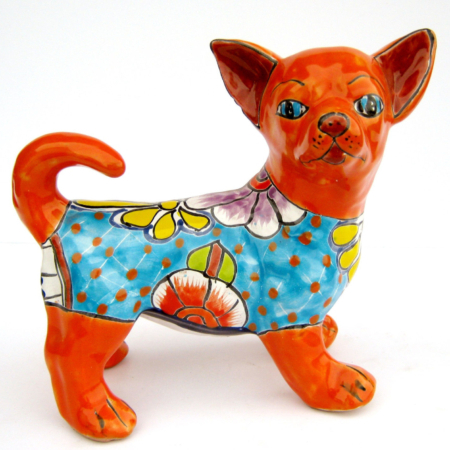 All products distributed by La Tienda are original and of guaranteed quality.